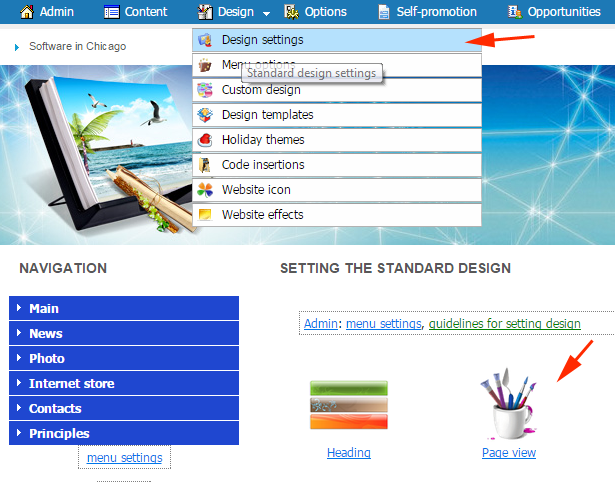 In the upper menu of the website management system, go to "Design" - "Design settings" - "Page view". 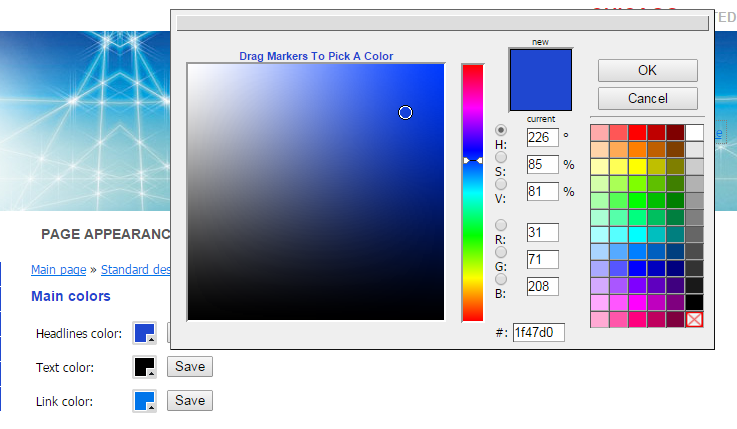 To change the headlines color, text and hyperlink color, in the upper menu of the website management system, go to "Design" - "Design settings" - "Page view"
Here you can experiment with your website's headlines color, text color or hyperlink color. 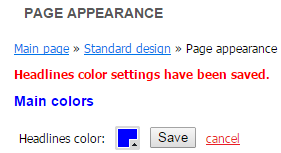 Choose the desired color: and click "Save". 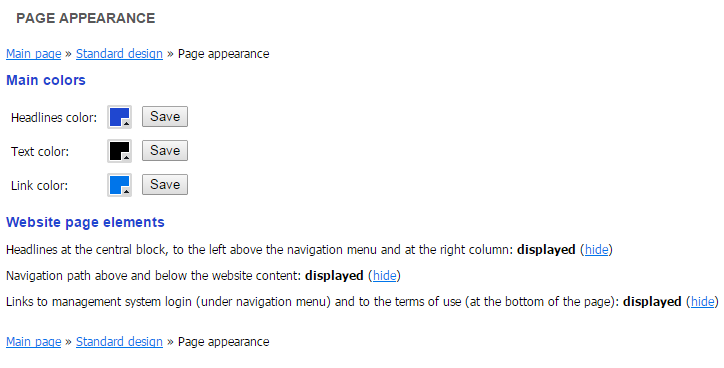 To change the website page elements, in the upper menu of the website management system, go to "Design" - "Design settings" - "Page view" - "Website page elements"
Attention! If the hyperlink for logging into the website management system is hidden, you can log into the website management system using this hyperlink: websitename/admin.html (for example, http://www.primer.mpi.ru/admin.html).